Run, walk, cycle, shave your hair, climb a mountain, host an Australian Biggest Morning Tea and Girls’ Night In … or fundraise your way. The fun is endless when fundraising for Cancer Council Queensland and your contribution helps us get closer to a cancer free future. 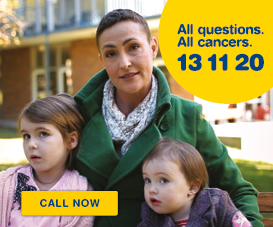 One in two Queenslanders will be diagnosed with cancer by the age of 85 and the funds you raise enable us to invest in life-saving cancer research, prevention programs and patient support services. “You won’t be alone,” says Erin Davies, Manager, Fundraising Campaigns. Our expert fundraising team are on hand to help you plan your event. With ongoing support and a free fundraising host kit, we can help you start today to make a difference tomorrow. Get together and host a morning tea in May or June to help beat cancer. Join the fight against cancer and make a difference your way by creating your own fundraising event. Form a team and join a Relay near you and raise awareness and funds to fight cancer. Show you care this Daffodil Day. Wear your pin, purchase merchandise, volunteer or donate. Host a Girls’ Night In and help beat women’s cancers. Register your interest now. 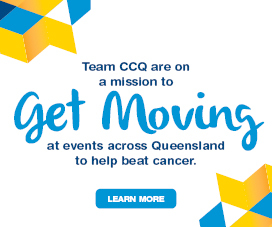 Get Moving at events with Team CCQ. Raise funds and beat cancer! Put your foot down against brain cancers and join Cancer Council Queensland at the Footprints for Brain Cancer walk in May. Walk for the future of Queensland women. Host a Charity Golf Day or challenge yourself with a 72-hole golf marathon. We have the tools and resources to get you started! 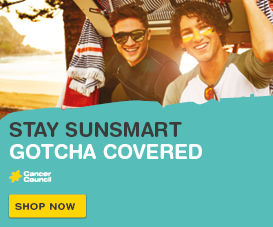 Fundraise your way for women's cancers! The options for your fundraiser are endless – the only limit is your creativity.